Mark Consuelos is an American actor. Mark was born in Zaragoza, Spain. 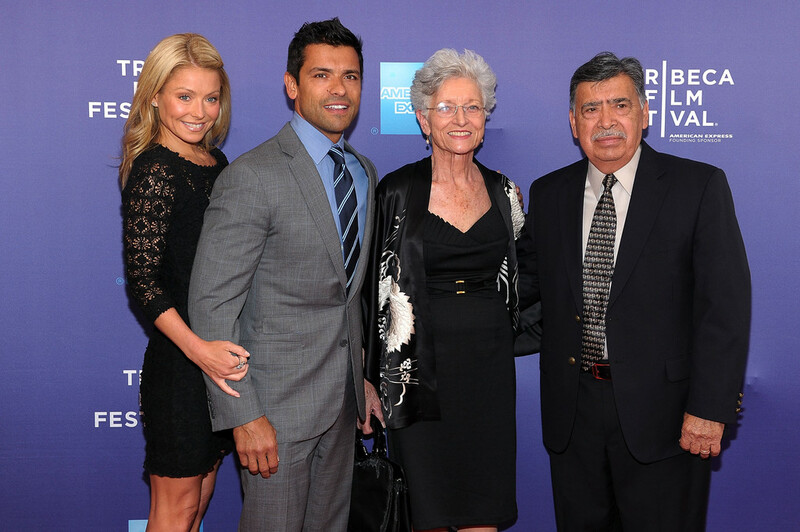 His father, Isaul “Saul” Consuelos Resendiz, is Mexican. His mother, Camilla De Micheli, was born in Tripoli, Libya (a former Italian colony), to Italian parents. He was raised in Italy, Lebanon in Illinois, Tampa, Florida, and Valrico, Florida. Mark has said that he can not speak Spanish, but speaks Italian. Mark is married to television personality and actress Kelly Ripa, with whom he has three children. Mark’s paternal grandfather was named Miguel Consuelos Trejo. Mark’s paternal grandmother had the surname Resendiz. Mark’s maternal grandparents were Giuseppe De Micheli and Anselmina, who was from Baveno, Piedmont. his mother, Camilla De Micheli, was born in Tripoli, Libya (a former Italian colony), to Italian parents, Giuseppe De Micheli and Anselmina, who was from Baveno, Piedmont. His father’s full name is Isaul Consuelos Resendiz, so his mother’s maiden name was Resendiz. Wtf?????? He doesn’t look a thing like this mother!!! What’s strange is he looks more Mexican than his father, and Mark is supposedly half white.